Putting their safety on the line to protect civilians, police officers are rightfully commended for their bravery. Unfortunately, these acts of selflessness can very quickly turn fatal. This evident by the 105 line of duty deaths in 2013, two of which involved an officer from Pennsylvania and also the 67 line of duty deaths recorded for 2014, with one Pennsylvania officer losing his life. Though there’s no certainty where absolute safety is concerned, there are measures that can be taken to minimize an officer’s risks while on duty. Stab proof vests as well as vests that offer ballistic protection should be taken advantage of by officers whose next call may land them in a potentially life threatening situation. For more information on gun laws in Pennsylvania, read this article. Let’s look at the different types of vests available and their benefits. Officers on patrol can never be certain where their next call will lead them. Domestic disturbances and low level crimes can go even further south with introduction of sharp objects or blunt weapons. With instances such as the April 9, 2014, mass stabbing at a Pennsylvania high school not unlikely to repeat themselves, officers need to be sure that when responding to such incidents, the right protection is chosen. With edge blade protection an officer will be able to stay safe in the face of an attack involving knives, broken glass or other sharp objects. It is, by no means, unlikely for a suspect to threaten an officer with a knife or other sharp weapon and thus preparing for such an attack beforehand is necessary. Edge blade vests come in two main levels, level II and level III. The difference in these vests lies in the fact that a level III vests can protect against attacks carried out with a higher number of joules. Spike threats are also not a threat that can be overlooked. Ice picks, long nails, needles and other projected items in the wrong hands can be life threatening. Due to a spike weapon’s ability to penetrate a large range of fabrics, it is imperative that the right form of body armor is selected to deter this threat. Kevlar, with its high success rate of protecting against spiked weapons, is the ideal choice for defeating such weapons. Guns, of course, are still a major threat in Pennsylvania with approximately 12,400 guns per 100,000 residents. There’s no telling what rounds of ammunition or type of weapon a criminal can obtain. Protective gear comes with a wide range of different features and levels and it’s important that the vest chosen fits the circumstance. The categories that ballistic protection fall into are based on levels. The most popular choices are levels II, IIIa and level IV. 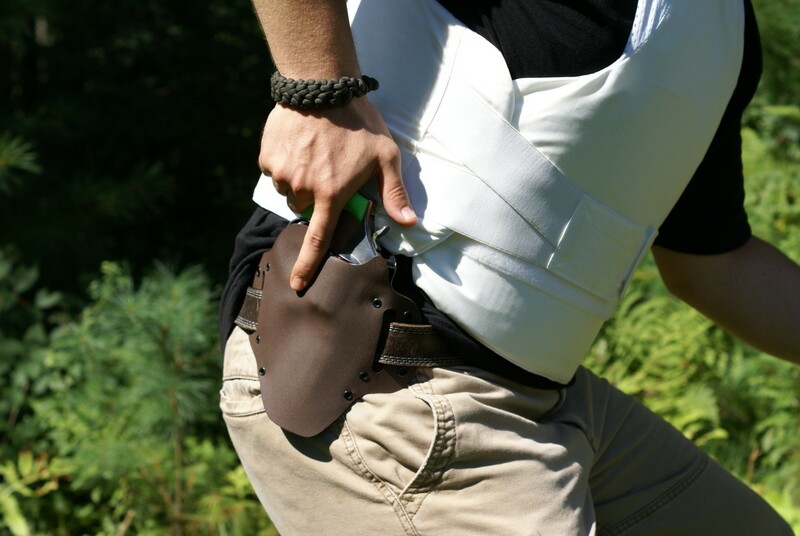 The most common firearms such as the 9mm .44 Magnum will be protected against with a level II or level IIIa vest. Higher velocity bullets, on the other hand, require a higher level of protection and thus, a level IV vest will be the ideal choice for these larger caliber weapons. SWAT teams and also military personnel are often seen donning the protection of level IV body armor due to the fact that they are able to resist ammunition from rifles and submachine guns. The plates incorporated into the design of Level IV body armor is what works to give it added protection. These are typically made from Dyneema polyethylene and in some cases ceramics. SafeGuard Clothing recommends that one of the first decisions to make when choosing body armor is the decision between a covert, overt or covert/overt vest. Selecting the right vest is a vital part of ensuring that the right protection is obtained for a given situation. Covert vests are easily concealed and thus, are the vest of choice for undercover officers. Additionally, due to its immense comfort, covert vests surge in popularity amongst law enforcement officials. They’re often equipped with a moisture wicking fabric which works to keep the wearer cool in warmer temperatures, therefore adding even more comfort. The overt vest, worn above clothing is a common choice for military personnel as well as SWAT teams. Though typically seen in black, there are indeed a wide array of colors available. Overt vests are also unlike covert vests in that they so not typically contain cooling fabrics and neither are they designed to be thin. The covert/overt vest can be worn either beneath clothing or above clothing based on the situation it is needed for. The vest itself is designed to offer a higher level of protection than covert vests whilst not being as bulky as overt vests. Fit is of great importance where body armor is concerned. The wrong fit can leave an officer exposed and thus vulnerable in the face of a threat. Designed to offer protection to the vital organs, body armor doesn’t cover the entire torso but instead, stops slightly above the navel. A vest that is too long can be exceptionally restricting to movement and in some cases counterproductive. Stopping above the navel allows for a full range of motion and the ability for the wearer to bend, run, crouch and sit with ease. To ensure that the right fit is chosen, you can make use of a size guide which will help you to select a size based on you build. Whether spike protection or ballistic protection, the condition of the vest matters. Signs of damage and high amounts of wear and tear can significantly reduce the effects of protective gear. Upon noticing any flaws with your body armor, you should refrain from using the vest but instead, contact a superior and point out the damage. Weapons end up in the wrong hands all the time and therefore it is necessary to take advantage of added protection. Patrol officers and SWAT teams aren’t immune from being in the line of fire, but instead, quite the opposite. Utilizing body armor when on the job can mean the difference between life and death. This information was provided by SafeGuard Clothing.